In today’s post, I’ll be discussing my TBR for the month of June! This month I have a whole lot more free time to read and do other fun still like draft blog posts, edit videos, and journal lots! June will be the month of getting things done. I will have my May (and kinda April) Wrap-Up posted next week so don’t forget to check that out next Saturday if you’re keen to see all the books I acquired during May but mostly April. Another thing before I announce my TBR; I received my Redbubble order of 20+ stickers which I showcased on my Instagram story (@thebookishbree); and as someone who was very hesitant to order from the site, I am quite pleasantly surprised with the quality of the stickers and the resolution. They came fairly quickly too which I was happy about. Now I just have to decide on their placement. As per usual I have stuck with the four categories for my TBR of this month which assist me in cutting through the pile of unread books on my shelf; as well as including a book with queer characters to support PRIDE MONTH which runs through June (and pretty much whenever tbh). – Publisher sent book: This book was my third read of May and I still haven’t finished it so it has made its way over to this month. All Of This Is True by Lygia Day Peñaflor is the most mysterious, drama-filled book that has the most amazing characters with such life and soul to them; coupled with the format, it’s almost as if they’re telling the story of real people, and that’s what makes it a brilliantly written novel. I’m only 115 pages in. – Sequel / Series: Obsidio by Jay Kristoff and Amie Kaufman. The badass team of Melbourne writers taking the book community world by storm. 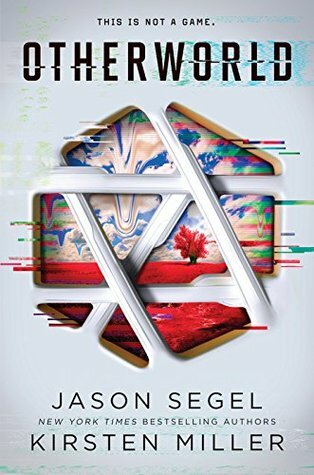 I read both Illuminae and Gemina in three days each time, so I’m hoping to smash through this book and bring you a gushing review. – Bought for me How Did I get this Book? : For this month I’ve cancelled out this category and replaced it with another title, because I truly do not know how I acquired this book, and I really want to finish it as I started a year ago. I’ve recently begun reading and enjoying contemporaries ever since reading Starry Eyes by Jenn Bennett and I Was Born For This by Alice Oseman. The Upside of Unrequited by Becky Albertali s a book that is fitting for pride month as the main character’s sibling is queer and I somehow remember the nearly 100 pages I read this time last year. – 4th Book: Lastly, a book I purchased at release and have never gotten to despite being as keen as a bean for it. Magnus Chase and the Ship of The Dead is the third book in the Magnus Chase series which tells the story of Magnus and his relation to the Norse Gods. I have read and reviewed both The Sword of Summer and The Hammer of Thor which you can view by clicking on the links above. It’s taken a bit of deliberation, but I finally have a YouTube channel! And a channel name, and banner (see below). My channel is linked below, by clicking the image or by clicking this link. I hope to have my first video – The BookTube Newbie Tag – out at the end of June, and my July TBR following it a week later. I want to keep uploads to a week at a time so I don’t get too crazy. I’m really excited to be joining this community and I hope you can all support me on this new adventure. The Upside of Unrequited is one of my favourite books (and indeed perfect for Pride! I’m thinking of rereading it :P) hope you’ll enjoy it! Magnus Chase and the Ship of the Dead has been sitting on my shelf untouched for a while now (I got it right before I left for the UK for three months) so I’m hoping to read it this month as well 🙂 Hope you’ll enjoy all of the books on your tbr!